As enterprises grow and diversify, tapping into innovative ways to communicate organization-wide is critical to meeting productivity and cost objectives. Connect your teams with the experience they love and the Microsoft Office applications they use every day. 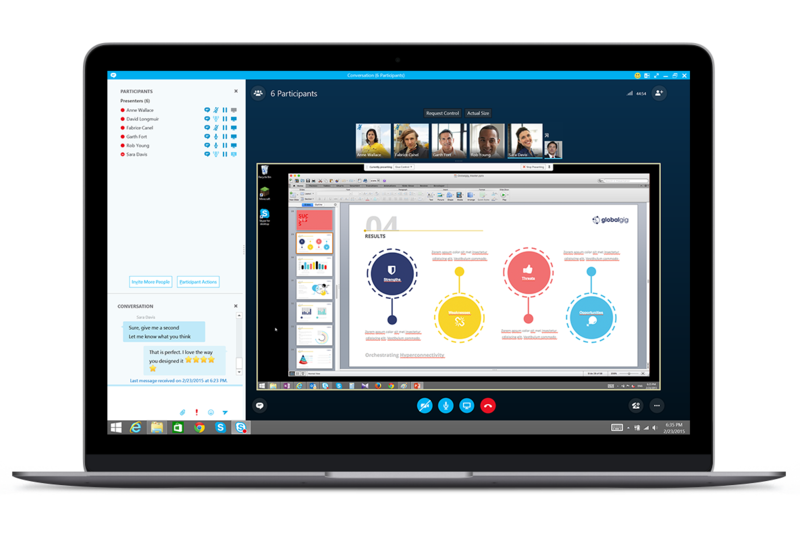 Now, with Skype for Business, you can simplify your infrastructure with one platform for calling, conferencing, video and sharing. Invite your team with a personalized link. Set up and join from a PC/Mac, iPhone, iPad, and Android. Share your screen or a file. Give and take control. Send instant messages during business meetings to offer new ideas. Present with interactive tools, with annotation, highlighting, and laser pointer. Draft, draw and edit together like being in the same room. Make your meetings even better with certified USB speakerphones, HD cameras, and headsets. *Up to 3 people after 60 days.